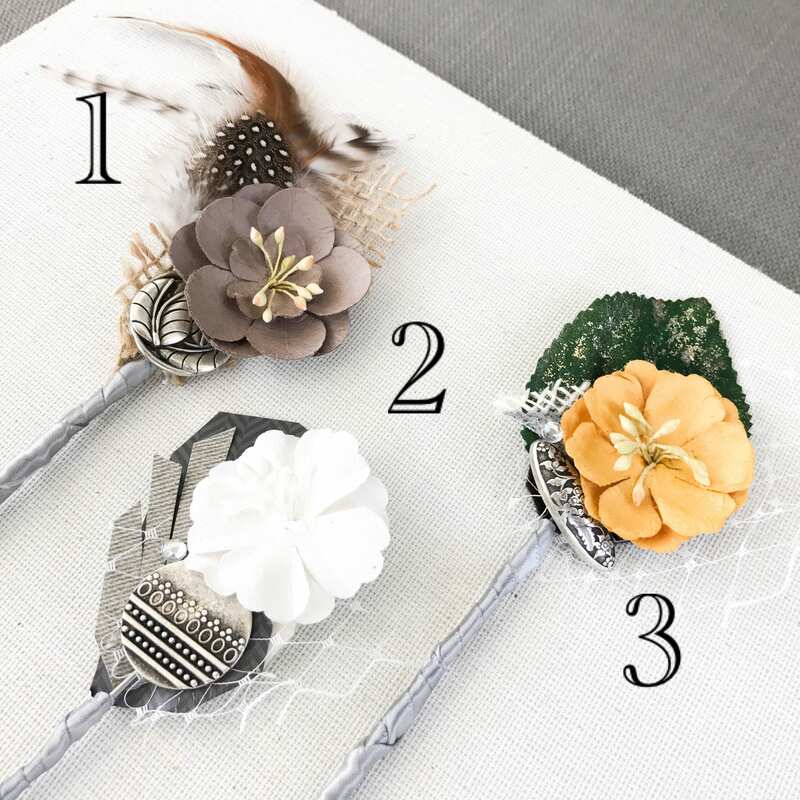 These fresh flower alternative boutonnieres are handmade with many mediums, including paper, metal buttons, feathers, burlap, fabric, and other interesting materials. 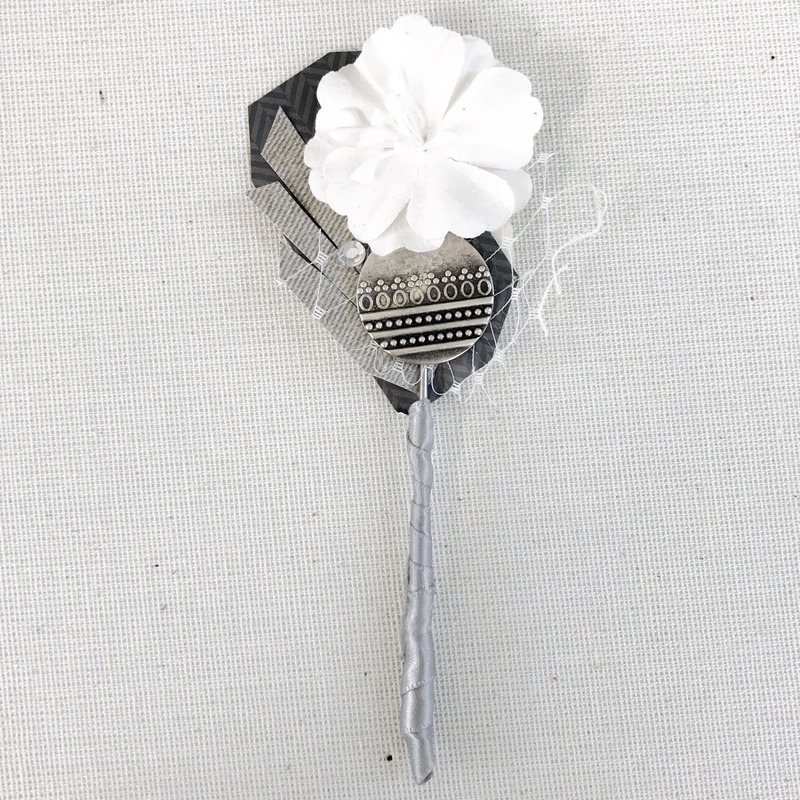 They can be custom made to fit your unique wedding style! 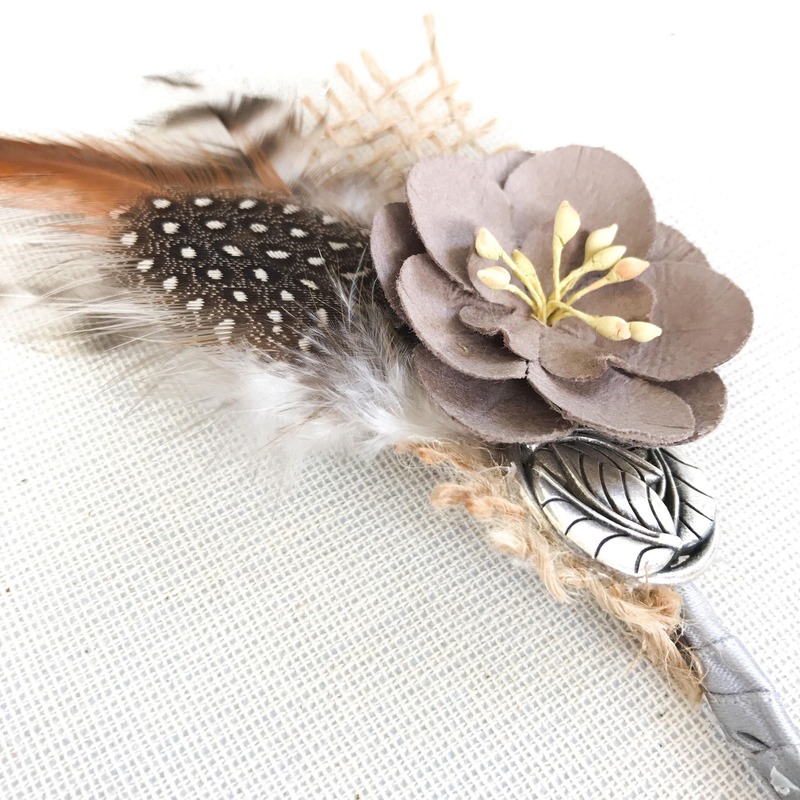 They are perfect for a unique, handmade, rustic, or modern wedding. 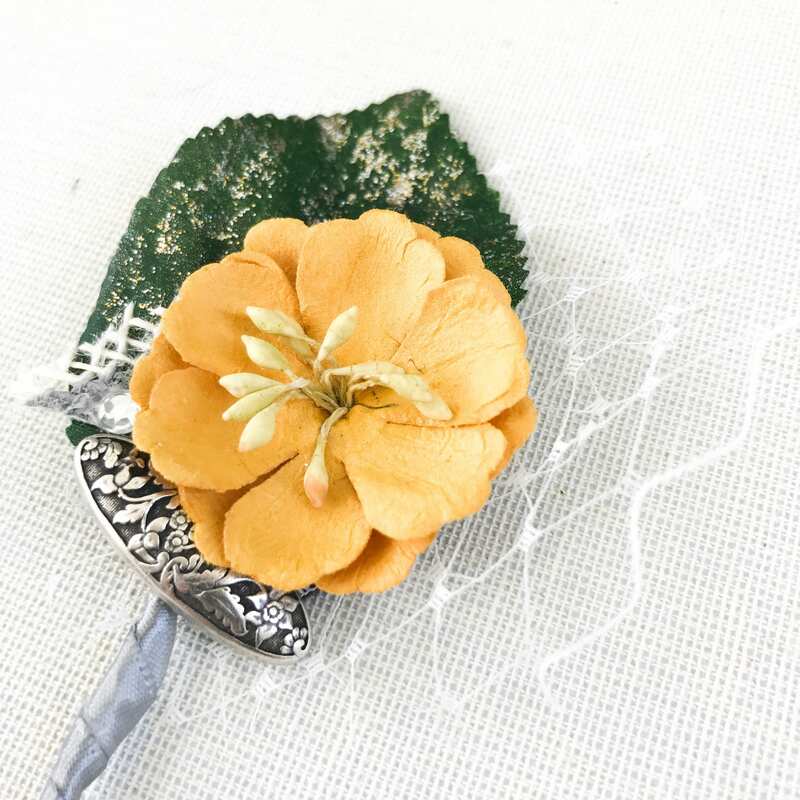 These boutonnieres are sold singly or in a set of four. Please be sure to specify any specific details, such as your wedding colors, wedding style, men's formalwear colors, and any design information if you're interested in having them custom made. 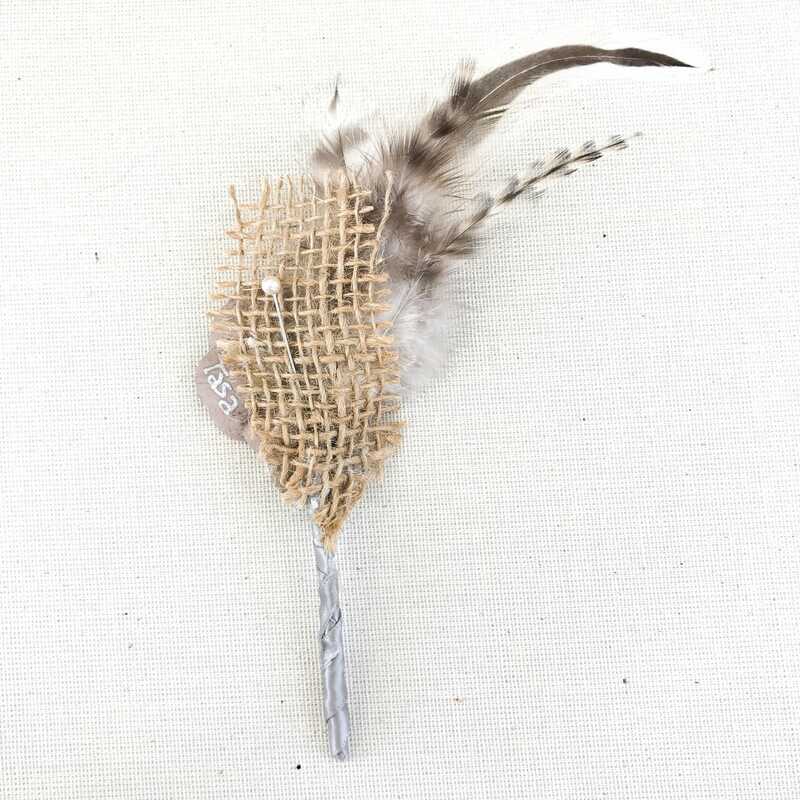 Each one is included with a head pin for securing to clothing. Feel free to contact me with questions about a custom order!